Heather grew up in Richland, Mississippi and graduated from Richland High School in 1988.She earned a Bachelor of Science degree in Elementary Education from the University of Southern Mississippi. 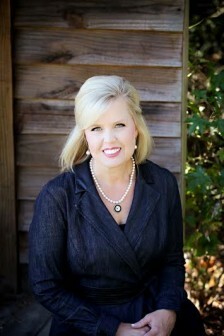 Following graduation, Heather taught school for the Rankin County School District for 10 years. Heather has been a real estate investor and property manager for over 18 years in both commercial and residential properties. She obtained her real estate license and joined Hopper Properties in 2014, primarily serving Rankin, Simpson, Madison and Hinds counties. Heather works with buyers, sellers, first-time buyers, and also investors. Investors, are you looking to buy or sell 1031 exchange properties? Heather has expertise in these types of deferred tax properties and can assist you. And as a business owner and rental property owner for years, Heather can offer you invaluable knowledge on how to grow a profitable rental business. Sellers, it’s a proven fact that “staged” homes sell faster and for more money. Heather is a licensed Home Stager, and her experience in staging homes can help make your home more attractive to buyers. Heather’s experience in staging a home can help you make your home more attractive to buyers. Staging tips such as maximizing your home’s space with strategic placement of furniture can make a world of difference! Heather has a digital portfolio of many homes that she has staged and sold. Several of these homes had previously been on the market with another real estate agent, and not sold before she added her touch! Heather has a large inventory of staging items on hand to show your home’s true potential and take it to the next level! First time homebuyers, Heather realizes that your home purchase will be one of the biggest investments you will ever make and that the whole process can seem a bit daunting at times. So she has created a guide to buying a home just for you that is easy to understand and gives you simple steps to make the entire process go smoother. As an educator, Heather knows the importance of arming yourself with critical knowledge of the home buying process. Call Heather today to learn about the steps to buying your first home! Heather’s family is very important to her. She is married to Jerry Smith and they are raising three beautiful children. She attends Puckett United Methodist Church in Puckett, MS and she is active in the community and volunteers at church and at school. She has served as PTO President for three years, and she is currently on a parent/teacher committee whose goal is to improve the school and booster club. Her hobbies include: reading, decorating and renovating homes, raising miniature Hereford cattle, and traveling with her family. If you’re looking for a caring Brandon, MS real estate agent, call or text Heather Smith at 601-750-0914 or email Heather@HopperMS.com today!